I suppose I should be talking Turkey…er…Thanksgiving for this Saturday Snapshot post, but I’m going in another direction. Saturday Snapshot is the link-up hostessed by Melinda at West Metro Mommy Reads. It the spot where you can share photos taken by you or a family member. Not anything you just found on the Internet. Share a part of your life. I’ve been a little disappointed lately. There really have been no beautiful sunrises or sunsets to document and share. It’s been all gray and uninteresting. Last Sunday morning, however, I was rewarded for my patience. This is a sunrise. Ralph and I were talking this week how it is hard sometimes to tell the difference between a sunrise and sunset in a photo. My way is that I can recognize what else is in the photos. In this case, I recognize the houses. When we’re in New Mexico, it’s a little harder…mountains, mountains everywhere. 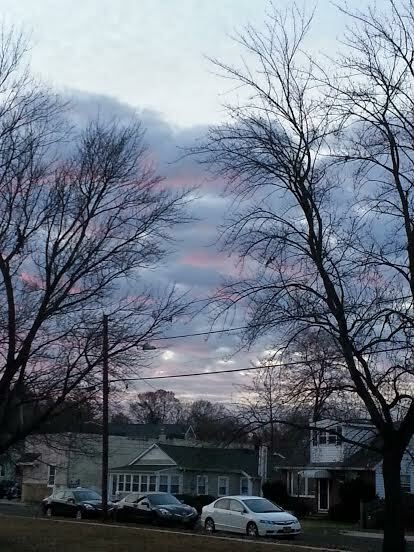 This was actually the reflected sunrise off to the right of the actual sunrise. I love the soft, pale colors in this one. The two trees frame it nicely. This is the sunrise itself. I’m very lucky that I have an open field outside my kitchen window. It allows me a clear view to photograph the beauty. I take so many of these photos. I wonder if my neighbors have any idea that their houses have been immortalized so many times! 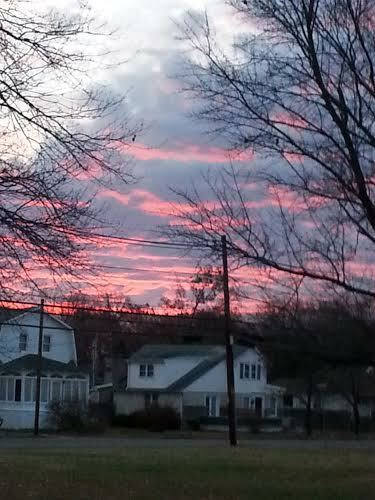 I’ll keep my eye on the sunrises and sunsets to see if there are any worth sharing. Hopefully, there will be some soon. I hope that everyone had a wonderful Thanksgiving. Be grateful for all that you have. Check out my post from yesterday to read about some of the things for which I am grateful. 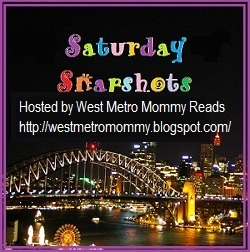 Don’t forget to check out the other Saturday Snapshots at West Metro Mommy Reads.